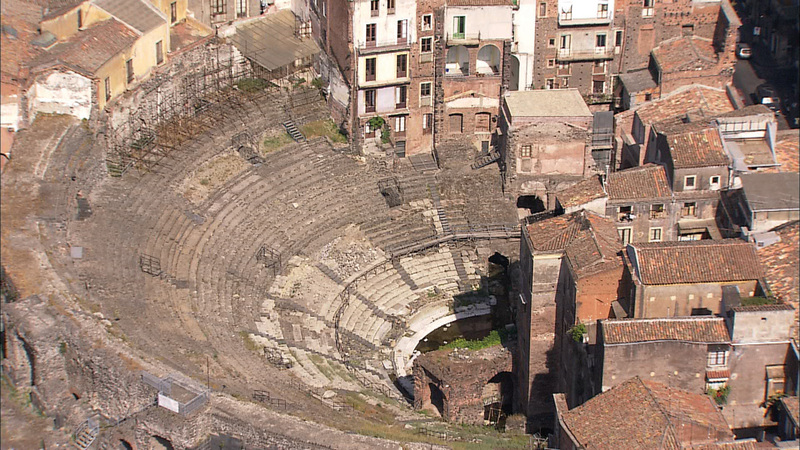 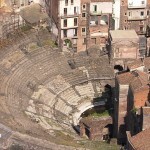 CUTLINE: The architectural heritage of the ampitheater in Catania - built by Greeks and enlarged by Romans . 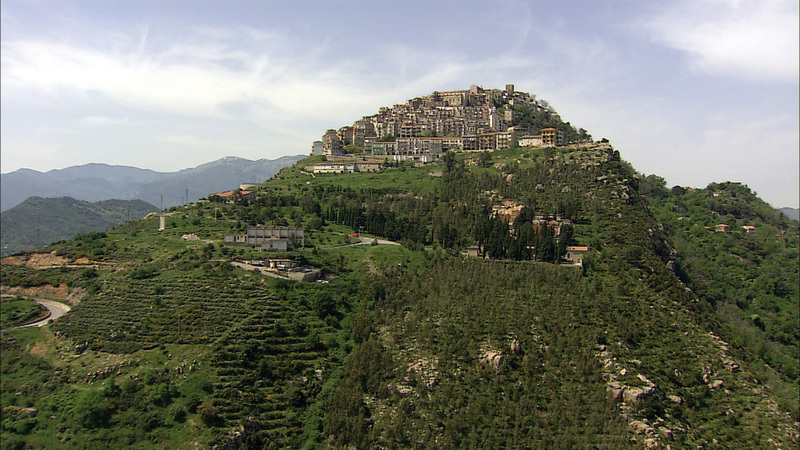 typifies Sicilian history. 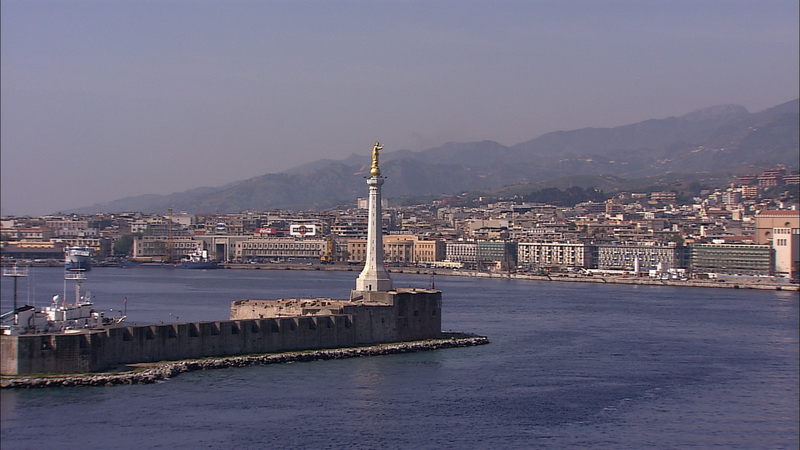 CUTLINE: The program begins as most Sicilian stories have for 3,000 years, at the ancient port of Messina on the northeast tip of the island. 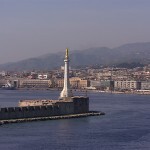 Statue of La Madonna della Lettera. 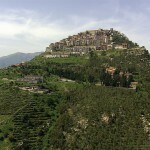 CUTLINE: Hilltop towns like Pollina offer Sicily at its sweetest.